This swing is made using 100% cotton rope which is closely woven together by skilled labourers who use intricate weaving techniques which ultimately gives the swing an unparalleled comfort. The wooden-bar has hand carved grooves for inserting the harness. This swing features a one-point suspension, allowing you to sit-up and lie-down comfortably. SWING, SWING AND SWING AWAY! The Cotton Rope Swing extends with a spacious woven body and allows one to kick out one’s feet and elevate. The body of this swing is made with 100% cotton rope. Crafted of a knotless design for premium lounging comfort. As soon as one sit’s in this beauty, the hammock immediately hugs and takes the shape and contours of your body. 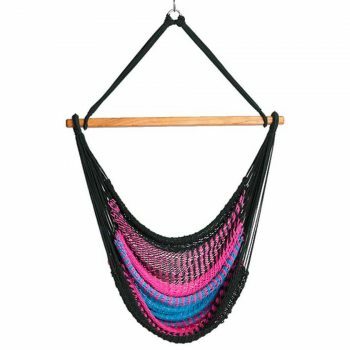 This hammock features a one-point suspension, allowing you to sit-up and lie-down comfortably. 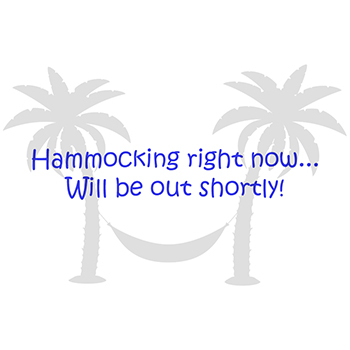 This hammock features a hardwood spreader bar and zinc plated “O” ring. 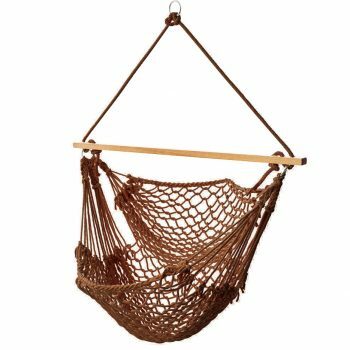 The Macrame hammock swing chair is a chic bohemian design which is hand-woven and adds a touch of glam and style wherever it is hung! 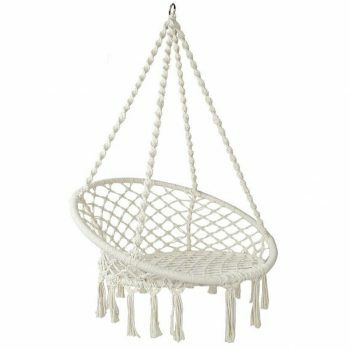 The macrame swing net chair can be used as a light cradle and swing reading chair or relaxing meditation chair. This swing allows you to nestle into a cosy “cocoon” while reading — Listen to the sound of rain, crickets, birds chirping, or a quiet night of stargazing. 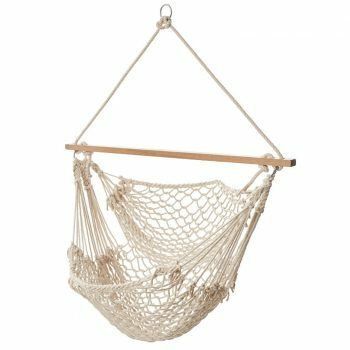 This hammock is a great addition to your home, bedroom, sunroom, kid’s room, living room, and more. It is extremely portable and can be carried around easily where ever you go. This can also be produced in Polyester for outdoor use and is available in various colours. This swing is extremely bright and colourful and livens up the place where it is hung up. This beauty can be hung up in your patio, your backyard or even better your pool deck. The swing is woven together by skilled labourers using vibrant and colorful cotton ropes! The weave is closely woven together providing utmost comfort. The harness of the swing is coordinated to the suspended chair. The wooden-bar has hand carved grooves for inserting the harness. This swing features a one-point suspension, allowing you to use it as a sleeperette and stretch out your feet comfortably. The Polyester Rope Swing extends with a spacious woven body in which to kick out one’s feet and elevate. 100% polyester rope body, is cool and comfortable by nature. Crafted of a knot-less design for premium lounging comfort. Polyester construction molds to the shape of its user. This product compliments the Hammock family and it takes the shape of your body contour. This allows a one point suspension, allowing you to sit-up and lie-down comfortably. Comes with hardwood spreader bar and zinc plated “O” ring. Enjoy the perfect place to sit and read or just relax. This over-sized hammock chair allows you to stretch out or curl up. The wide 44 in. spreader bar holds the chair open to the perfect distance, for easy entrance and exit. The tightly woven soft polyester rope resists the effects of sun and rain, yet is soft and comfortable.